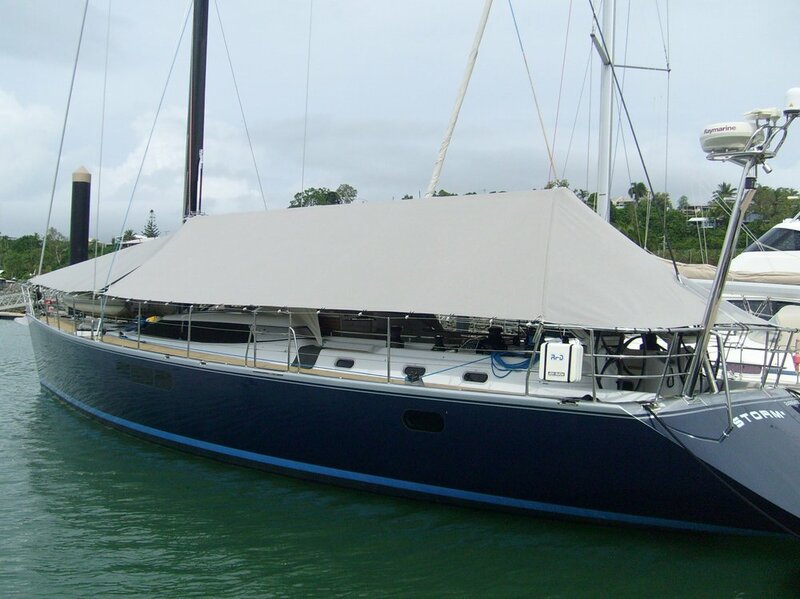 Flex-Cut Mainsail design & manufacture for cruising and down wind sails. 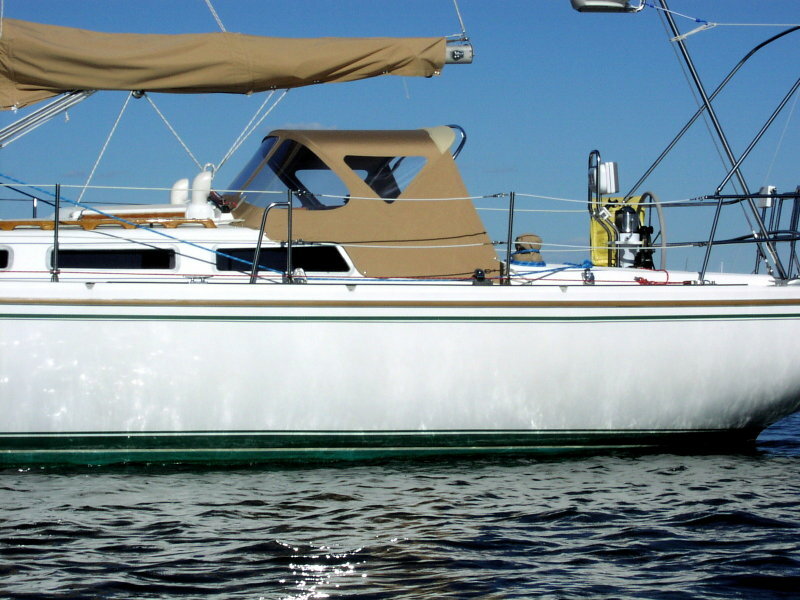 This is a robust and economic sail design that performs well for the extended cruise. 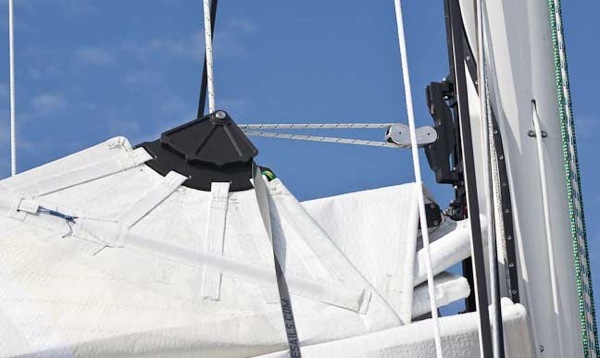 these sails offer ultimate ease of maintenance and longevity whilst performing at around 70% of grand-prix sails. 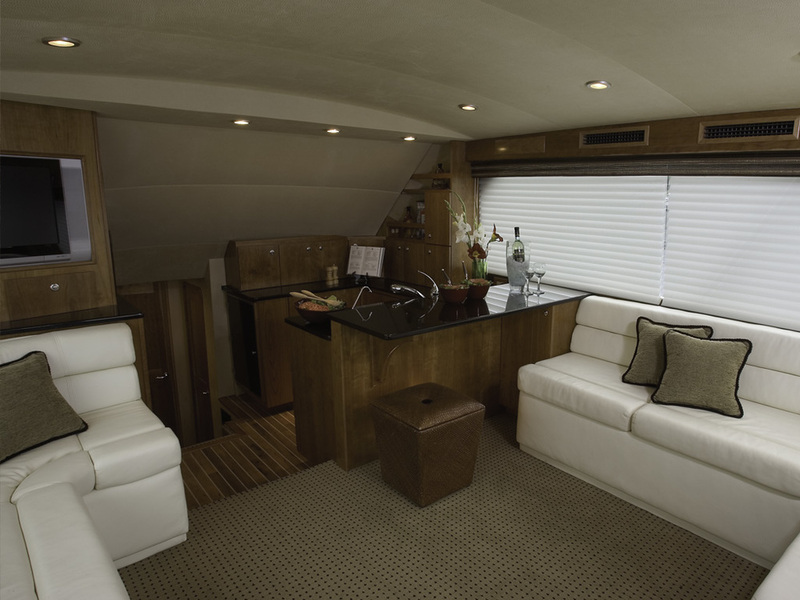 Dear viewer, having been in the Sailing Industry for 27 years, I work with Doyle, North and UK Sail Lofts internationally, as well as a few local lofts scattered around the world. 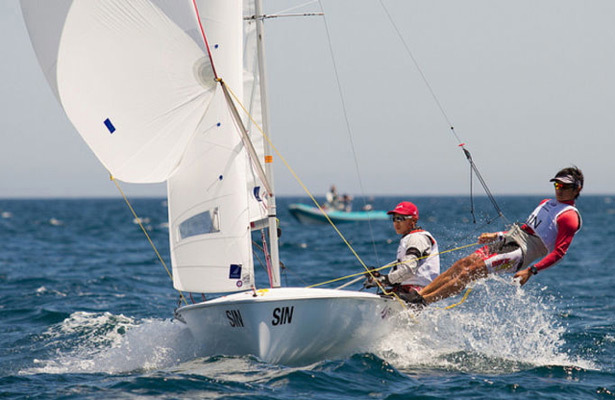 Purchasing a specific sail for your boat is a personal transaction and you need to feel confident with the advice you you are receiving. 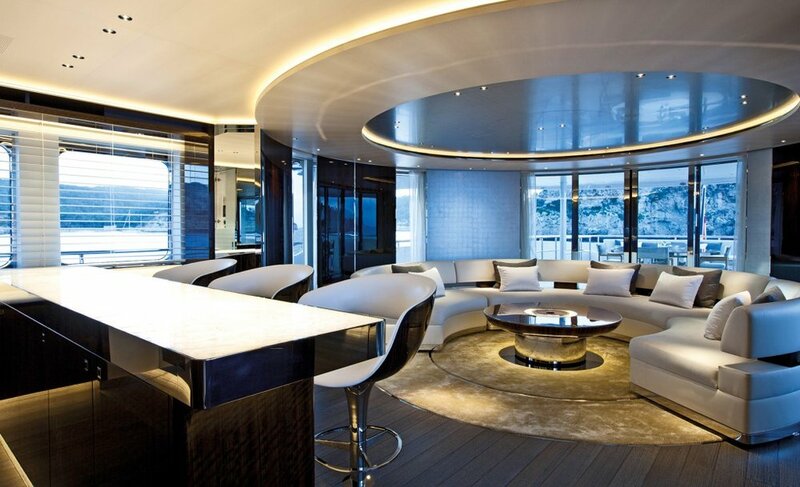 I always work closely with my client and the company who builds the sail. 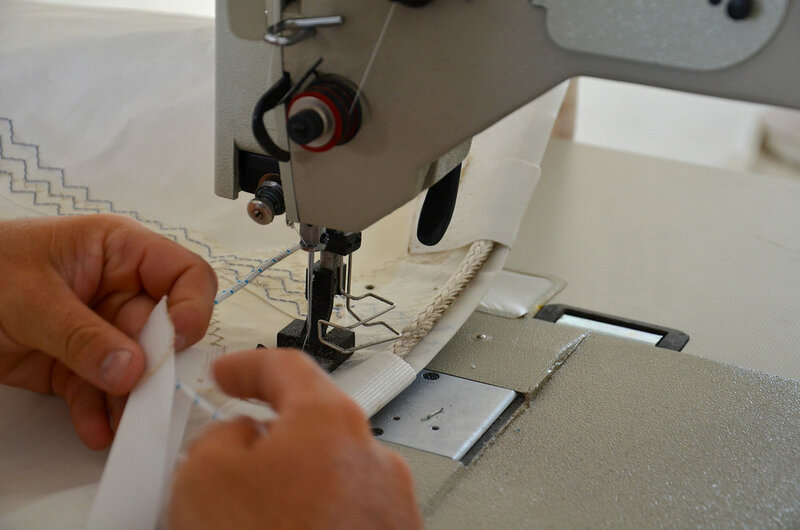 The expertise and services I personally offer are the re-cutting, re-designing, measuring and installation of a new or existing sail or suit of sails. If there are any furling, reefing or rigging faults, these I normally pick up when inspecting and measuring and will advise of any upgrades or changes necessary or available. 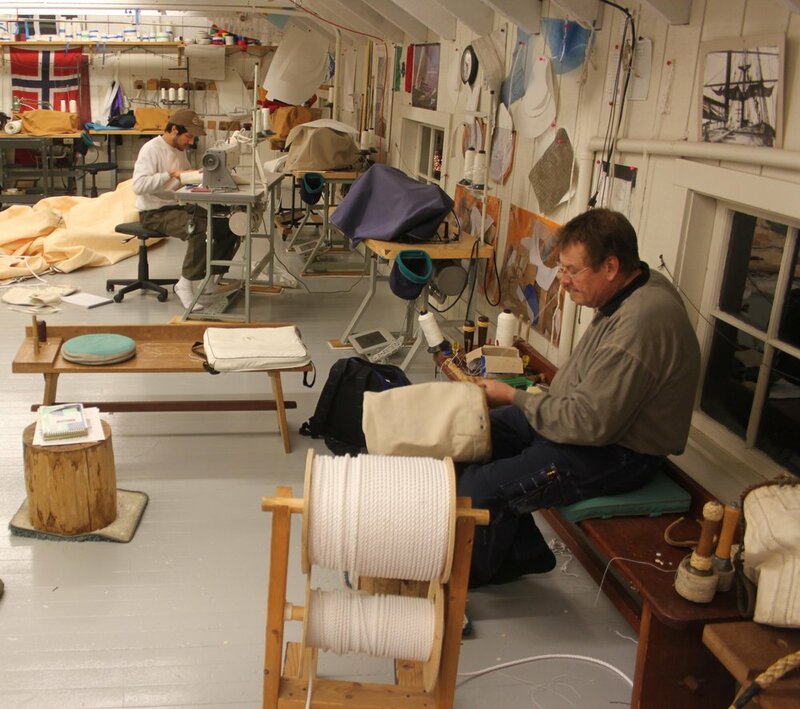 These I normally refer to Mark Plough who owned a UK Sail Loft and now has 4 Sail Lofts on the East Coast (USA) including a Doyle Sail Loft in New York. His Name, reputation and expertise in this field is unsurpassed. He is also a really nice man who runs an awesome business and always has time for interesting projects. For hand leather finishing, or a molded full batten main that slides on a double track system for a 110 foot mast you are welcome to speak with me regarding your custom design requirements. 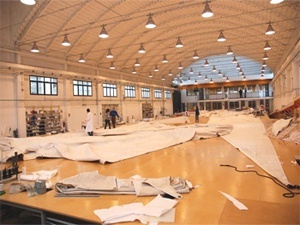 Sails made with cross-cut panels are the most economical sails to make because there is very little cloth waste. 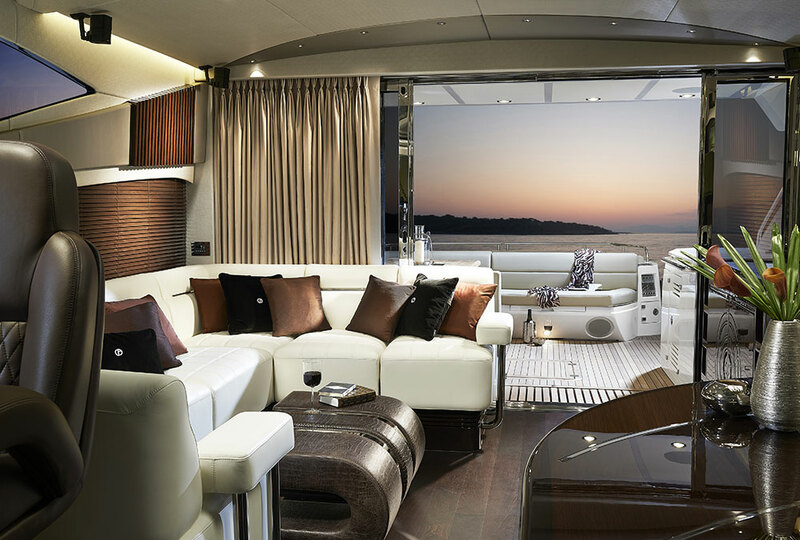 Sails made with Flex laminates are designed to be the least expensive laminate sail since they can be made with cross-cut panels without having to be reinforced with load bearing tapes. 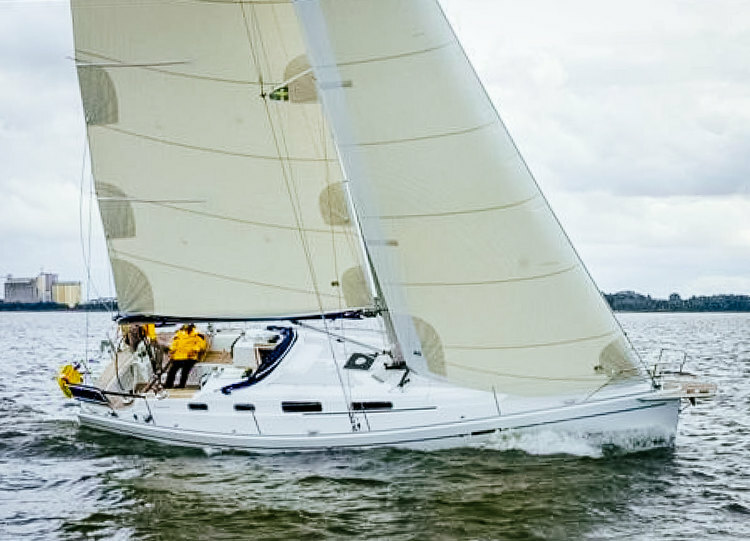 To understand the unique structure of Flex, one needs some background on sail construction. A cloth that has stronger yarns in the fill direction is called a “Fill Oriented” cloth. FLEX is a fill oriented cloth made of a loose weave of warp and fill yarns that is bulked up with two sets of X-Ply around the fill yarns. See Photo 1. The purpose of two sets of X-Ply yarns, more in-line with the fill yarns (highlighted in blue and yellow), is to pick up the loads going up and down the leech. In a “string sail,” e.g. Tape-Drive and Cross-Drive, the continuous yarns or tapes smoothly carry the loads between the head and the clew along the leech. 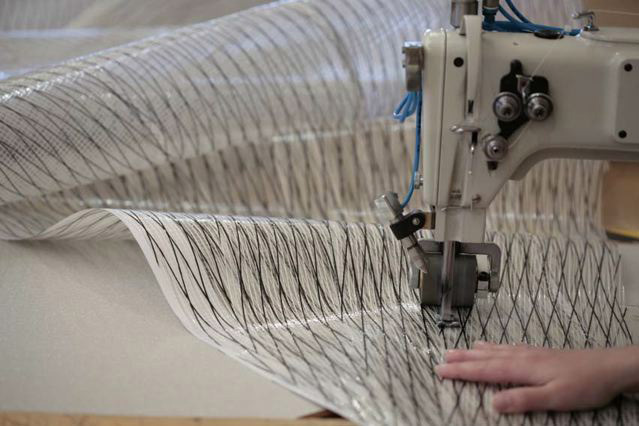 In a tri-radial sail, narrow panels are angled so that long, strong warp yarns can be aligned with the leech loads. In FLEX sails the two sets of X-Yarns are there to pick up the loads not perfectly picked up in the cross-cut layout. 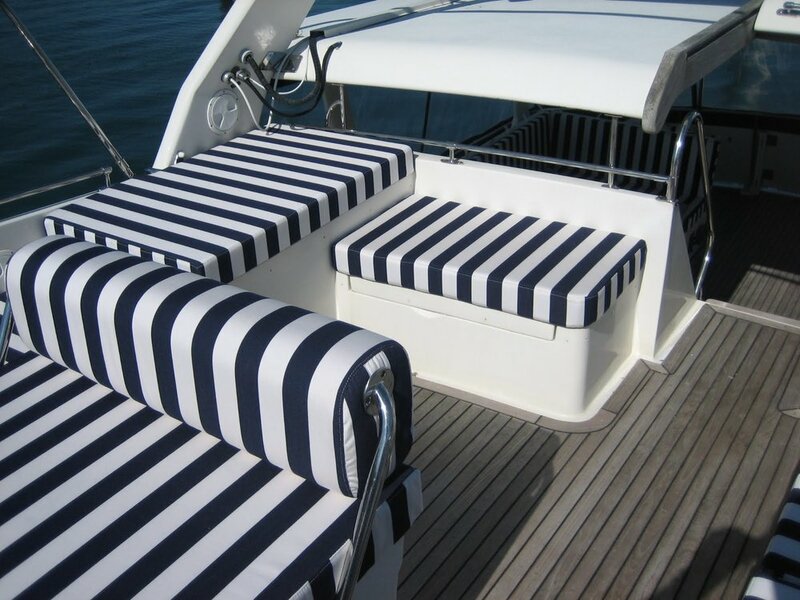 For cruising sailors, FLEX laminates can be made with polyester yarns of varying density and with or without taffeta. 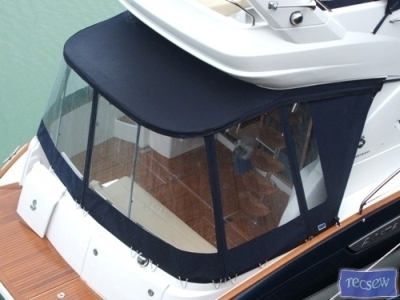 While very strong, Taffeta sails are made more durable with the addition of a finely woven polyester taffeta layer laminated to one or both sides. The taffeta layers don't add strength to the sail, but they protect the film layer from abrasion, which is a great benefit for cruising sailors. Taffeta comes in white or grey. 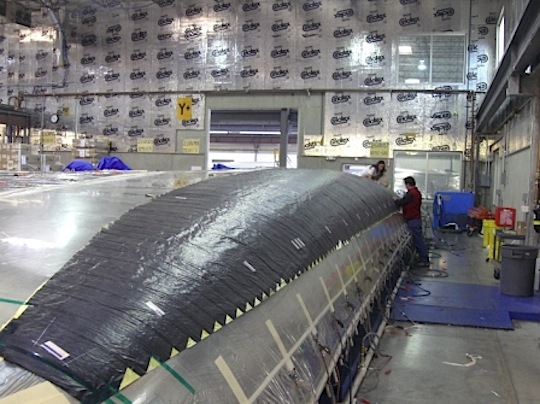 Once the size and boat weight has been calculated the foils for a given wind condition is then formulated and integrated into the mold for the sail. Down wind sails have a different shape to up wind etc. 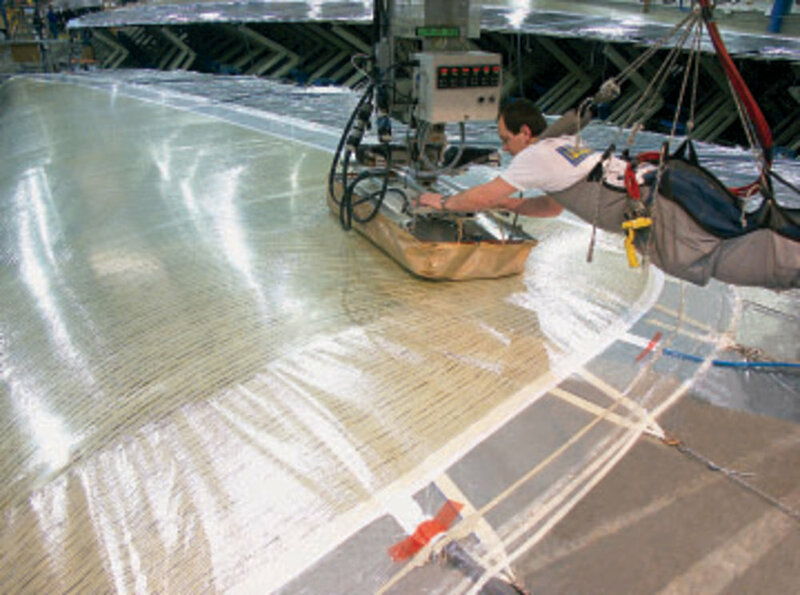 Batten designs and pocket forms to fit existing hardware is incorporated into the lamination and fabrication of the sail. 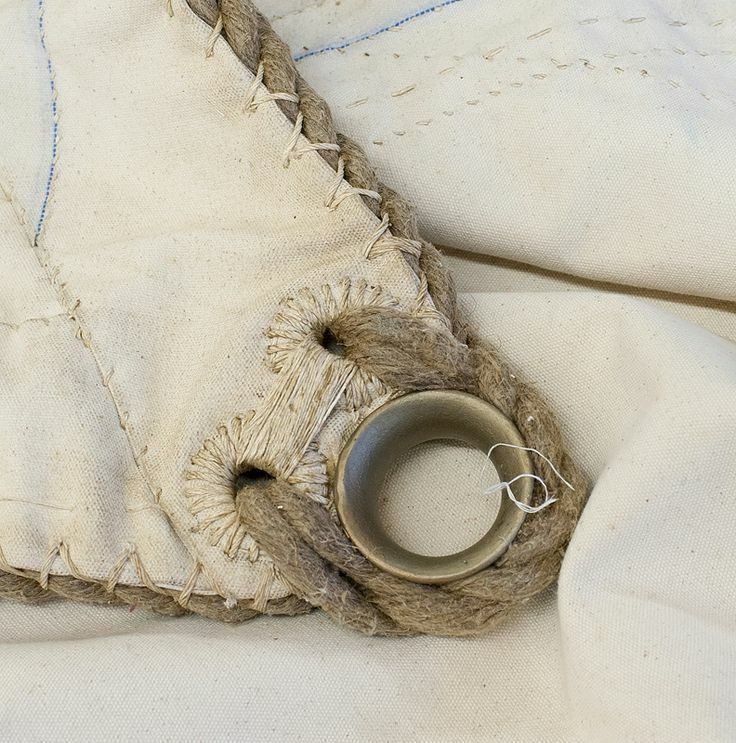 All sail are stitched at some point or in their entirety. Keeping ones machines well tuned is a function of the loft machine mechanic. As this is a dwindling business there are fewer and fewer machine mechanics. So much so that the manufacturers of the sewing machines do not have service departments or personnel to tune the machines. I have had to learn the machine I have owned and operated in order to keep staff working. this normally means 1-2 hours ever night checking the machines after staff have left. The headboard is one of the most important parts of your sail. 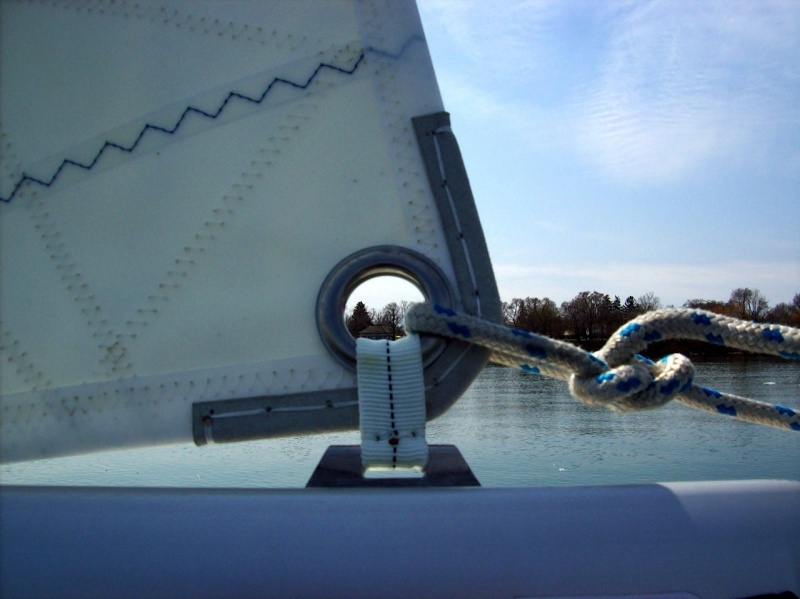 If the angle of attack for the halyard is not set correctly you main will loose its shape and function incorrectly. I like to inspect the mast head, stand off and shiv set up when measuring for the sail. 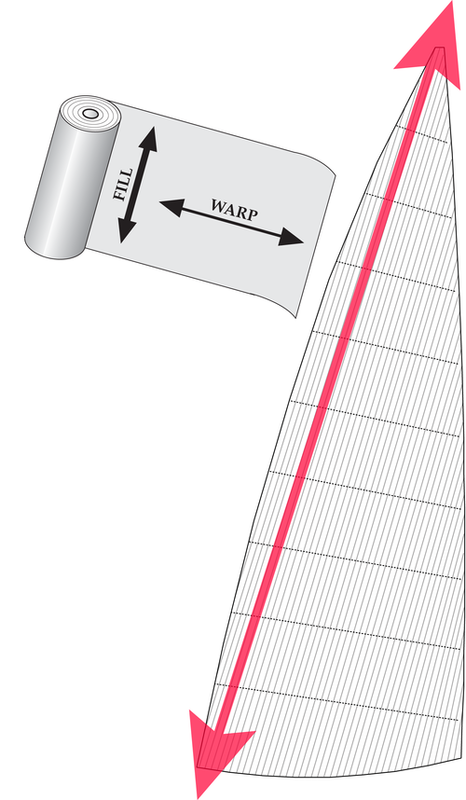 Maximizing the efficiency of a sail is paramount to the functionality a sail offers. Having owned and worked in leading American Marine companies until 2015 Dillon Oberholzer sold his businesses and moved from the USA to Guatemala to further his work in Marine Bacteria Remediation. This in turn led to the development of SJC where his skills have been put to the test in incorporating modern state of the art manufacturing processes integrated with local hand woven products, all protected with "BMS" Bio -Static, Anti Microbial, water resistant finishes. 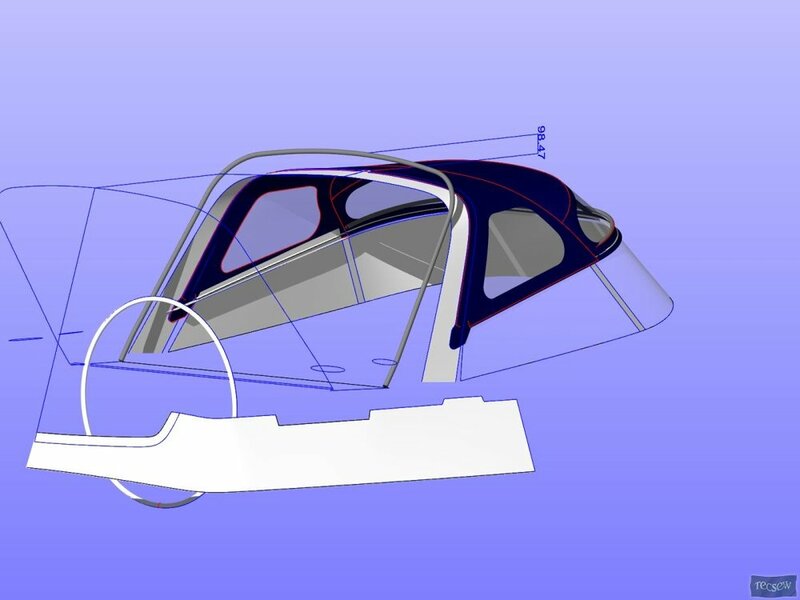 Our CAD and technical abilities allow our clients to order products online within fabrication tolerances of 1 mm per 10 meters of final product manufacture.